“Many say that machine learning is evil as it will replace humans. In my opinion, machines can prove highly beneficial. 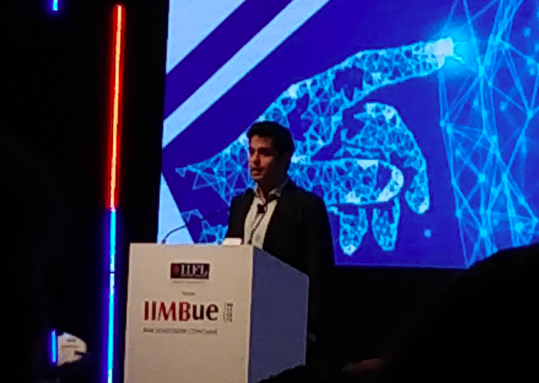 We will not be seeking to replace human effort, but to amplify it with intelligence,” said Akash Ambani, chief strategy officer at Reliance Jio Infocomm, at the third annual conference of IIM Bangalore alumni. According to a leading daily, Ambani also said that humanity could achieve more in the next two or three decades, than what they have been able to accomplish over the last century. Ambani’s latest pro-new tech speech is completely in line with what Jio has been trying to convey through their actions over the last year. Earlier this month, India’s fourth-largest telecom player had said that the company wanted to deploy artificial intelligence to solve India’s real-time problems. They added that the mobile phone network and data could be provided at low costs by deploying scalable AI and lowering tariffs. The first step, explained Shailesh Kumar, the chief data scientist at Jio, was to find the sections of the society which do not have access to mobile and internet and then to deploy AI there. He added that Jio was set to start from ground zero to solve these India-specific cases. As a part of this initiative, Kumar said that Jio would use AI for converting speech to text, keeping in mind the variations in accents across all Indian languages. At the India Digital Open Summit held last year in Mumbai, Akash had said that AI, voice assistant, voice recognition and voice command were some of the new technologies that are growing on a daily basis in terms of usage. Now, Reliance Jio wants to hire professionals who have demonstrated experience in machine learning and even in blockchain. Earlier this month, AIM had carried a report about Jio hiring senior persons to build a dedicated AI team. “The company wants to set up this team in either Bengaluru or Hyderabad. Akash Ambani is taking a keen interest in this and is expected to lead this initiative… They have already started the recruitment process in Bengaluru…apart from AI, they are looking for people who can work on machine learning and blockchain,” the source had told a newspaper regarding the same.